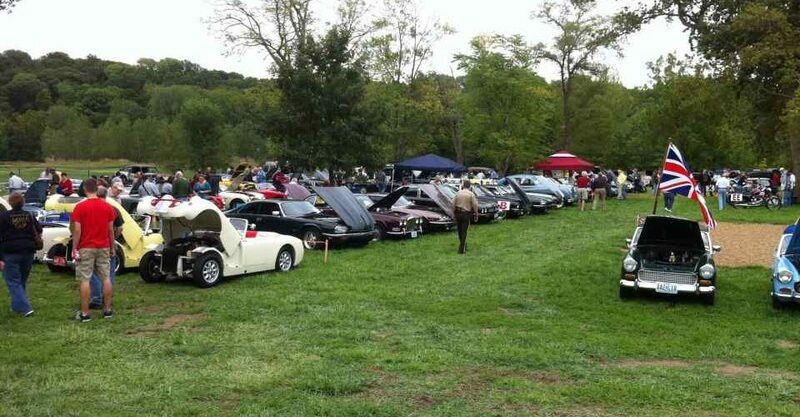 The St. Louis All British Car and Cycle Show is an annual event that has been taking place for 37 years. The show brings out a wonderful selection of the finest classic and modern examples of the British Automobile and Motorcycle industry. Come and visit to see over 150-200 beautiful cars and perhaps re-live a few memories. The show takes place in on the grass field in lush Creve Coeur Lake Park -- Heldman Shelter area and offers a wonderful scenic setting by the lake with shade from some large trees. Our featured marque for 2018 is Austin-Healey. A Concession stand will provide grilled eats and cool drinks. Visit the All British Car and Cycle Show website link above for all the latest information, details, and on-line registration. Registration for your first car is $25 for the 100 registrations ($30.00 thereafter) and $10.00 for each additional car you show. There will be 37 classes. There will also be door prizes and goody bags for those that register. Viewing admission is FREE.